In between interviews with top international business and technology publications from Forbes to Wired, U of T Associate Professor Raquel Urtasun spoke with U of T News about the whirlwind surrounding her since she decided to join Uber and bring the American company’s first international research lab to Toronto. Why was it important for you to stay in Toronto and affiliated with the University of Toronto? Two reasons: First of all, as you know, Toronto has an amazing pool of AI talent. It’s home to Vector and it’s only going to grow. That’s one of the reasons why Toronto is the place to be. The second: I moved to Canada three years ago and I really fell in love with the country. Instead of leaving Canada and my peers, I decided that, you know, I should pay it back by bringing self-driving cars to Canada. How does it feel to bring a major international research lab to Toronto? I think it’s amazing, right? This is a great day for me but also it’s a great day for my students, a great day for the next generation of Canadians who are going to be working on self-driving cars for real. How many students currently with you are moving over to Uber? Eight of the students are post-doc and they will be continuing their studies while at Uber. What’s been the reaction from your students and colleagues? Have you heard from them? Yeah, yeah! They’ve all congratulated me for the great opportunity. They’ve been very positive. The students are really happy. So many of the PhD students want to be involved in self-driving cars [research]. 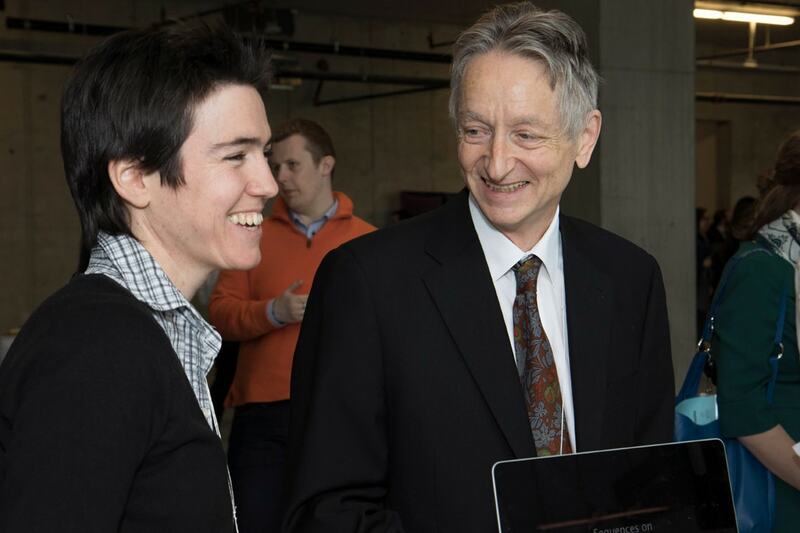 Did you hear from Geoff Hinton, University Professor Emeritus in computer science at U of T and vice-president engineering fellow at Google? I haven’t heard from Geoff [this week] but he’s congratulated me already in the past about this opportunity. Geoff and I have a very good relationship. The fact he works for Google [doesn’t matter]. This is a big high for Toronto and for you. In the space of less than two months, you have the Vector Institute launch and now Uber. You’re definitely putting AI and Toronto on the map. How does that feel? I feel really happy. It’s really changing for Toronto. It’s becoming a major [AI] hub. [There are] many great things for the city, for the region [that are happening]. This is also going to [attract] more companies. Q: You’re in San Francisco right now. What is the first thing you’re going to do when you return to Toronto to get this Uber lab off the ground? I’ll be coming back at the end of the week. I was in San Francsico for a conference . . . For the Uber ATG Toronto lab, we [have] started already! We’re ready to kick off! We’re hiring all sorts of people. How big will the lab be? How many jobs? We’re comfortable with saying right now we’ll be hiring several dozens in the near future – many of them students – and we’ll see what happens. Q: In the area you do research in, there have been an awful lot of companies that have been interested in you for quite some time and probably have been courting you. So why Uber? What made you go with them? For me, it was a clear winner. From day one there was a lot of synergy with the team.They are great researchers, engineers and individuals. Uber also has the advantage of the ride-sharing network, which would be instrumental in deploying self driving cars. And, Uber was very committed to do a big investment in Toronto. You’ve talked before about the fact that women involved in your field don’t get a lot of attention from media. Obviously, you’ve had an avalanche of press today. What does it mean for you and other women in artificial intelligence research to have someone like you in a position like this? In the past, it’s been difficult to get media . . . but today was really awesome. I really hope that this helps other women get inspired and see what is possible as a woman to succeed. Like you said, it’s hard to get women into leadership positions. I really hope this will help change that.